Cargill's Lovejoy is fantastic, and Macnee and Rigg ad lib fluidly. Great stuff! dark waistcoat (metal buttons) with white shirt (city collar, double cuffs) and dark patterned tie, Prince of Wales check suit (2 vents, flapped pockets), initially without the jacket. 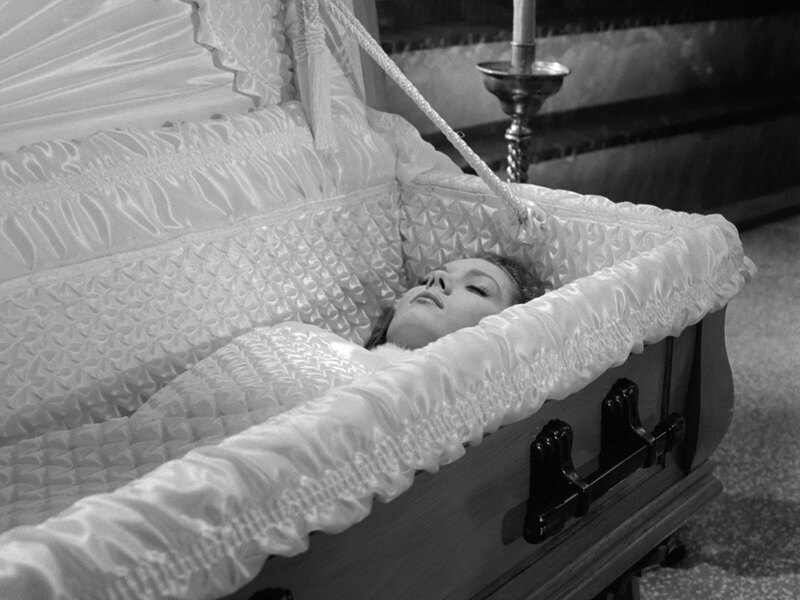 This episode was the first filmed with Diana Rigg as Emma Peel and is notable for what seems to be an early producers' directive that didn't last - to have Diana use a husky whispering voice instead of her usual strident clarion. By around 16:00 she's stop whispering her lines. she whispers again for the interview scene 23:50-26:00 but is back to normal at Steed's flat. 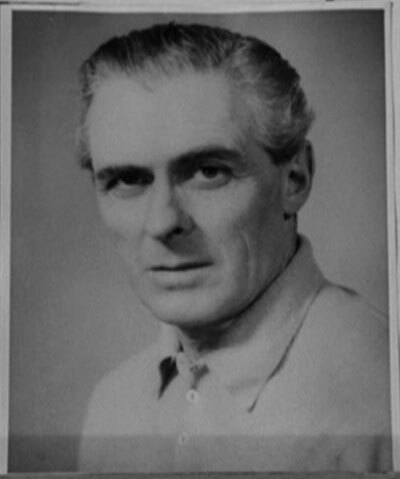 The photo of Jonathan Stone that Steed shows to Mrs Peel is obviously one of Edward Underdown's portfolio shots - exactly the same photograph turns up in the Dangerman episode, "The Ubiquitous Mr Lovegrove". 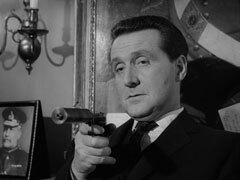 10:20 - Steed claims he was a major in THE Guards and expelled from three public schools for having too many "extracurricular activities". 10:38/10:45 - When asked what he does for a living, Steed replies, "Work? Tried working once, it didn't work out. Too much like work. Footled around at the Foreign Office for a while, found it all quite baffling." 11:08 - Steed's desired partner: So long as she has a good seat... on a horse... plays a fair game of bridge, mixed a dry martini, can whip up a passable soufflé - you might say a good all rounder. 14:08 - Mrs Peel's name is already on the board, although she hasn't visited the agency yet. 16:04 - not the must subtle use of lighting when Mrs Peel picks up the candelabra. 16:40 - shakey camera work during the pan and zoom on Henshaw in the bathtub. 17:30 - Mrs Peel quips the bureau would have had trouble finding a match for Steed. He replies, "Oh, I don't know - educated, charming, cultured" and she interjects, "ruthless, devious, scheming. Have to be quire a girl. A mixture of Lucretia Borgia and Joan of Arc". (A similar exchange happens at the wine tasting in Dial a Deadly Number). 20:08/20:17 - the close-ups of Emma & Lovejoy are in Lovejoy's office (Emma is obviously sitting down, with her hand on her chin, wearing gloves! ), whereas the mid shots are in the reception room and she's not wearing gloves. They're obviously taken from the footage filmed for the interview scene around 24:00 - the first seems to be a flipped copy of the Emma CU from 24:08, his is the CU from 24:25. 21:20 - Steed says almost exactly the same likes as Jonathan Stone did in the teaser, Barabara reaches for her purse, then simply closes the clasp instead of pulling out a gun. 21:40 - An in-joke? 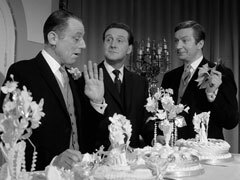 When Steed meets Barbara Wakefield he comments she's from Toronto, based on her accent - Suzanne Lloyd was indeed from Toronto, and Macnee had worked there for many years with Canadian television. 22:50 - Steed keeps a couple of polo ponies at the Riding Club. 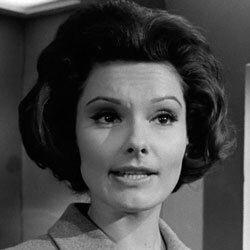 23:58 - Mrs Peel's prospective partner: "He would have to be mature, a man of culture, and intelligence. With stamina! 29:48 (30:45) - During the cake tasting, Dinsford liberally plies Steed with champagne - all over his arm, in fact! 26:00 - Emma plays the wedding march on Steed's tuba while he practices golf. She later (27:30) plays The Ride of the Valkeries until Steed chips the golf ball into the tuba. 27:02 - when Steed hits his golf ball, the small box he's using as a tee flies off and lands on Mrs Peel. 30:12 - Macnee fluffs a line: "Conventient accident, piece of cake - err, cake of soap at the top of the stairs". 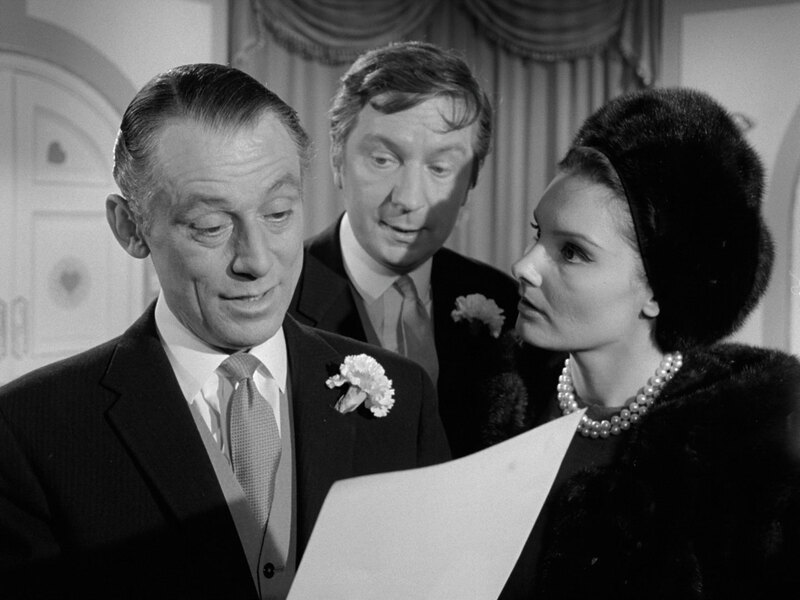 33:00 - Dinsford has put an arrow against Mrs Peel's name, but now Henshaw has a heart. Does this mean all the names on the board are supposed to have been killed? 42:36 - fluff on camera lens or smudge on wall? 46:55 - it's very obviously Billy Westley Jr who falls from the shelf instead of Diana Rigg. 48:50 - Mrs Peel is driving and Steed is in the back, bare-headed, putting on his tie. 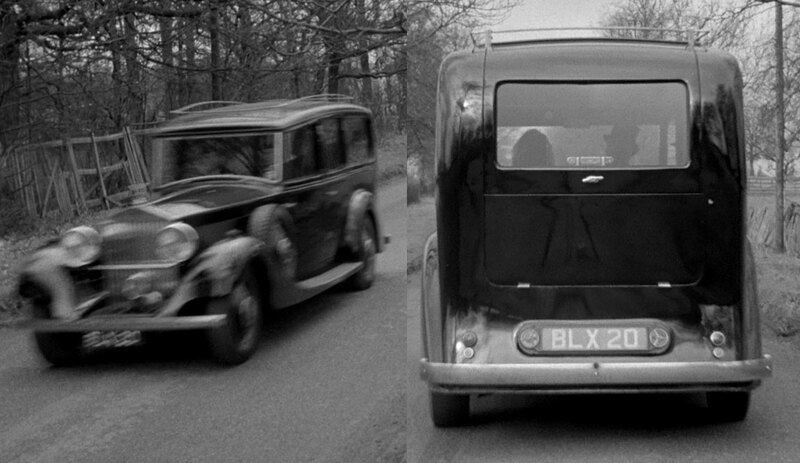 When we switch to the exterior shot behind the car, they're side by side, Steed in the driver's seat, wearing a top hat. 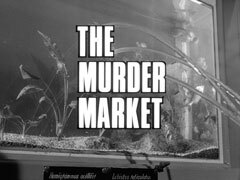 The plot's a bit like "Strangers on a Train" - the agency facilitates the murder of inconvenient relatives for its members, while providing alibis for them by making sure they're seen elsewhere at the time of death, the attractive Barbara Wakefield being their chief assassin. 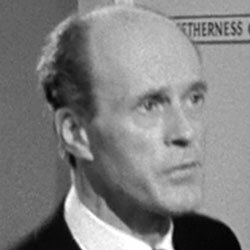 An episode of Adam Adamant entitled Death by Appointment Only, also written by Tony Williamson, provoked an angry letter from The Avengers producer Julian Wintle to the BBC, claiming that it had the same plot. 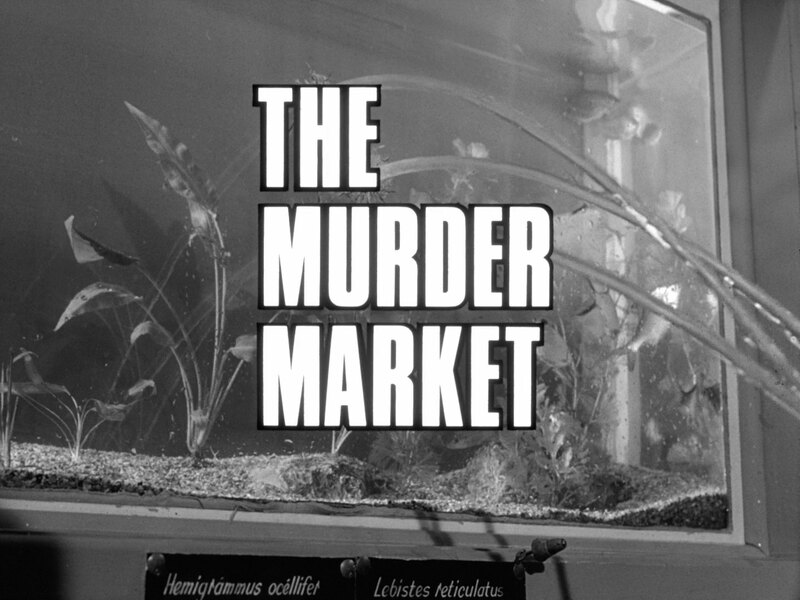 the agency wasn't a "Murder Inc.", but was instead killing victims for their own ends. 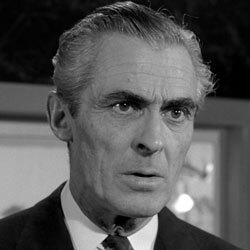 Strangely, Colin Vancao appeared in both episodes as an extra in identical rôles (and it is through Adam Adamant that I have managed to identify him as he was uncredited in The Assassination Bureau and Series 3's Esprit De Corps). 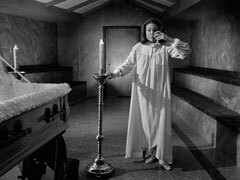 This episode was originally filmed second, after The Hour that Never Was under thie direction of Wolf Rilla, with Elizabteh Shepard as Emma Peel. It was later refilmed presumably in its entirety with Diana Rigg by Peter Graqham Scott.